Nano It World is a provider of highly effective front-end and UI development services in Bangladesh. Front-end and UI development services offered by us are the perfect choice for those looking for simplicity, usability and beauty. Beautiful codes of top-notch quality conform to web standards. 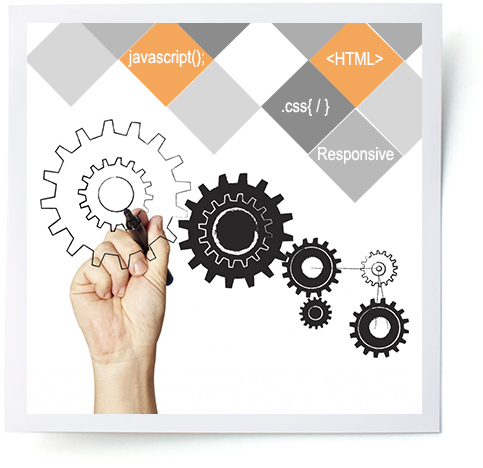 Frontend developers working with Nano It World have expertize at HTML/HTML5/CSS/CSS3 and jQuery. This ensures clients of getting high-quality development services as per thier requirements. Competent developers also have hands on UI development in different platforms. From Info. Architect to user interface, user experience and iOs, UI designers have expertize at everything. Nano It World transforms web designs into pixel perfect front-end development web pages. Developers design standard compliant and SEO friendly websites in different platforms. Cross browser compatible sites designed by us look equally appealing in different browsers. Visually appealing UI designs crafted by Nano It World perfectly match with the user expectations. UI development services offered by us perfectly integrate with external technologies and other web services. Designers clearly understand client objectives and come out with unique and top-notch solutions. Use of latest techniques and best practices enable development team at Nano It World offer superior UI/Front-end development services. Need assessment: The process at Nano It World starts with assessment of clients' requirements and understanding their goals related to the services demanded by them. It helps us understand clients' business process and planned statistics for the application. Planning: Once designers understand the client requirements, they come out with a project plan as per the client's expectations. It helps client follow and monitor the project progress. Design implementation: Design implementation process at Nano It World starts with design mockup. It works as the foundation of the design direction and provides a visual beginning. Clients are contacted with the finalized version of mockup for further changes and approvals. Development execution: We start the development stage with an outline of the application technical specifications. In order to ensure that client gets high quality final product, the developers perform continuous testing and polishing. Final review: Final review is done with the client after completion of execution. It ensures that we have met with all the expectations of clients. All the changes are made in this step to launch application. Reach Nano It World today only for innovative and user-friendly front-end and UI solutions. We will be glad to offer valuable solutions to your business problems and offer effective products.